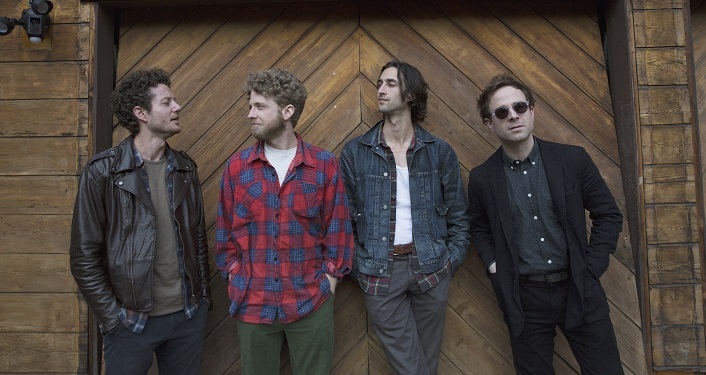 California folk rock quartet Dawes is bringing their “An Evening with Dawes: Passwords Tour” to the St. Augustine Amphitheatre’s Backyard Stage on Tuesday, February 19, 2019. “Passwords” is an album for and about the modern age: the relationships that fill it, the politics that divide it, and the small victories and big losses that give it shape. “We’re living in such a unique moment in history,” says lead singer and songwriter Taylor Goldsmith, “Many of these songs are an attempt to come to terms with the modern world, while always trying to consider both sides of the story.” NPR Music says that with the album, Dawes “returns to its greatest specialty: smooth and ingratiating California folk-rock that never bothers to hide its big, beating, bleeding heart”. Dawes first emerged from Southern California nearly a decade ago, carrying with them a roots-rock sound that nodded to the past – including the West Coast folksingers and cosmic country-rockers who chased a similar muse during the 1970s – while still pushing forward. Over the years that followed their “North Hills” debut, the band evolved and electrified. The grooves deepened. The amplifiers grew louder. Once known for their honest approach to classic sounds, Dawes grew into something different: a forward-thinking, boundary-pushing band for the 21st century, willing to follow inspiration wherever it leads.